Can you tell I'm trying to make myself feel better?? Between watching Project Runway, getting completely sucked into the Vitra site, (both totally my fault, but the Vitra site is pretty amazing) + the fact that my sweet Millie apparently hates to sleep, (not my fault at all...) I was up way, way too late last night... In fact, I'm not sure I ever actually went to bed. Oh Jos...same thing was happening over this way...The boys are at camp so you think I would sleep...but no way. I was up walking around at 3:30...I think I'm on my third cup already! jane...maybe we should call each other at 3:30 to commiserate. a sort of insomniac's date. 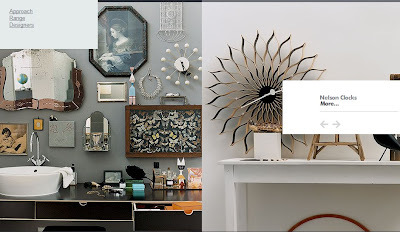 joslyn-- well, i now have a new obsession: the VITRA site. quite amazing and beautiful. i can understand how it sucked you in! I would send you the most delicious blend of coffee right now, if I could! Along with a delicious buttery croisant! oh, bless your heart. hang in there! and, those pics are amazing... love the one on the left, especially. Wow, I can't stop looking at the butterfly entomology case, gorgeous.